One of the most important moments in one’s life is receiving a marriage proposal. But how to turn it into a really unique moment? How to choose the best scenario? At Delphinus, we are sure that popping the big question while swimming with dolphins will not only be romantic, but also truly original and unforgettable. Proposals in the water can be carried out during a Private Encounter with Dolphins, under the guidance of a certified coach who will take you to this beautiful moment. 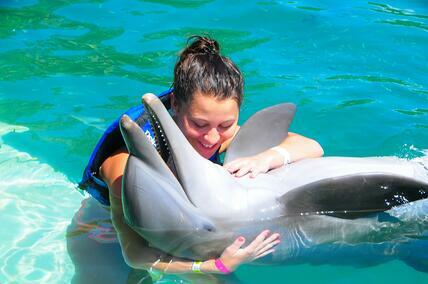 Imagine this, dolphins could frame this moment with their cute move. Our specialist in animal care will ask to your girlfriend to feed the dolphin, so when she opens the icebox to grab the fish… surprise, she will find the ring. 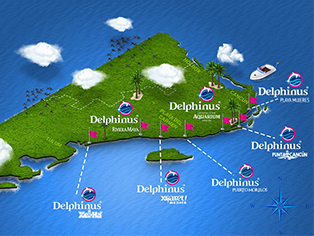 Regardless of the scenario, our collaborators at Delphinus want to help you so your proposal is perfect. So, feel free to approach us to talk about your idea and, we will make it happen. With all the excitement and nerves, you will probably feel that the moment went by too fast and be afraid that you don’t remember it. But do not worry, our professional photographers will capture the best moments, in both, pictures and video for you. Now you know, handing the ring while swimming with dolphins is an excellent idea because, honestly, who would say no to a dolphin? To prepare the whole plan you can talk with us and get advice on how to get the most out of our services and make sure that everything goes according to what you imagined. In addition, Delphinus has several activities including a ‘post-proposal’, because when she says "yes", the fun barely begins. Do not over think this. Your favorite sea mammals are waiting to be your accomplices in this new adventure. 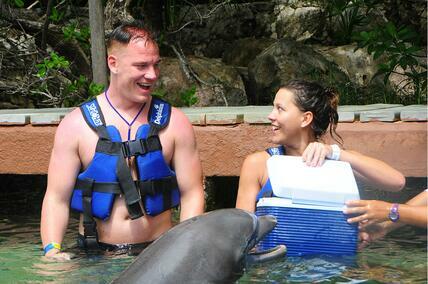 Swimming with dolphins in Cancun will change your life and we want to witness your happiness. Book now!